Wow, Kid Zuck must be feeling some serious pressure. 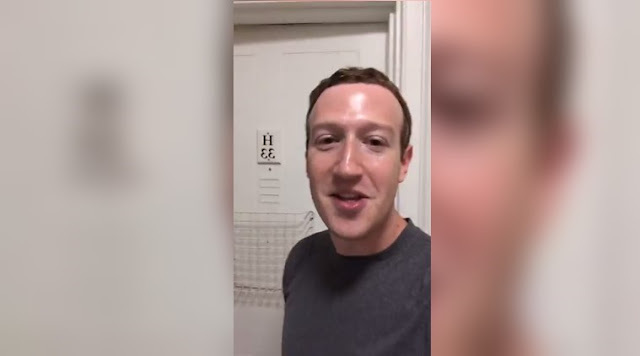 Facebook chief executive Mark Zuckerberg said on Wednesday that he’s open to having his company regulated, reports The Hill. This is the equivalent of a politician calling for a special prosecutor on himself. “If you look at how much regulation there is around advertising on TV, in print, you know, it's just not clear why there should be less on the internet,” he said. He is probably lying and just may not know how to deal with the pressure. Nobody has ever mistaken Zuckerberg for Howard Roark or John Galt. But he is correct it is about the type of regulation from his perspective. He will want regs that create a moat around him to make it difficult for competitors to encroach on his territory. This is what a crony capitalist looks like. I'm amazed he hasn't asked for some sort of competition limiting regulation prior to this. "Please hurry and regulate social media before my established platform has to.comoete with upstarts! Please!" The deep web will become ever more popular, perhspe. Maybe Zuckerberg should insure his company does the right thing without government regulation? Of course money in his pocket is more important to him.